Hands-on healing, also known as Energy, Radiant or Spiritual Healing, has been practiced by many cultures for thousands of years. In Greek mythology, Chiron, the wise Centaur, taught Asclepius, the God of Medicine, hands-on healing. This practice was so revered that Grecian statues of Asclepius were made with gold-gilt hands, celebrating the power of touch to heal. This was also the source of the caduceus, modern medicine's symbol of healing and the word Chi-ergy, which evolved into surgery. Later, in Christianity, we are told countless stories of Christ's ability to heal using the laying-on-of-hands. Jesus further told his disciples in John 14:12: "...he who believes in me will also do the works that I do; and greater works than these will he do..." Humankind was truly given a profound legacy in hands-on healing. 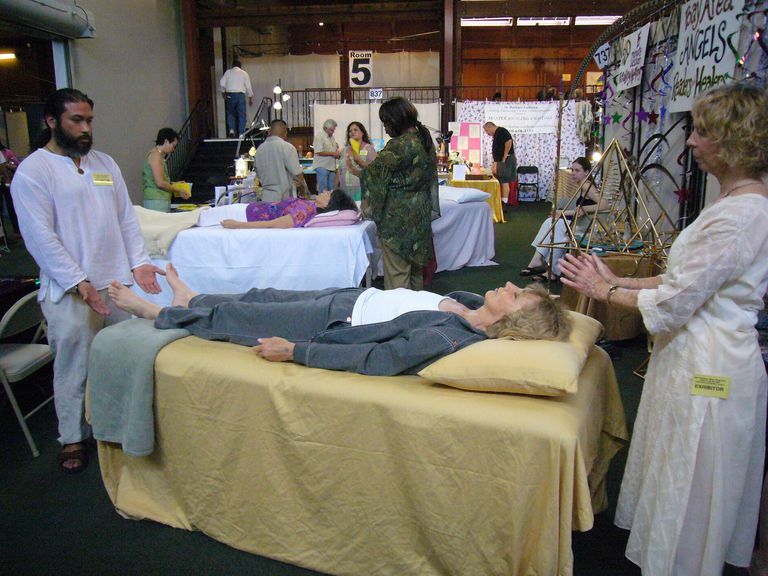 There is a resurgence of interest in hands-on healing and indeed, the entire field of complementary health care. The NIH (National Institutes of Health) has even created a division devoted solely to evaluating the validity of alternative medicine. Time and again, hands-on healing is studied and true to form, it faithfully demonstrates its effectiveness in healing as published in scores of scientifically based national healing studies. As Daniel Benor, MD. states in his book, Healing Research: Holistic Energy Medicine and Spirituality, in which he reviews 155 controlled and published studies, "(it) leaves little doubt that PSI energy healing is a potent therapy." A study in which I participated generated a lot of excitement in the complementary health community and is being called landmark. It was designed and overseen by the NIH and Larry Dossey, MD, and was published in the December 1998 issue of the Western Journal of Medicine. The study was Distant Energy Healing in a Population with Advanced AIDS. The results showed that energy healing played a significant and positive role in the healing process. Specifically, the study reports, "they acquired significantly fewer new AIDS-defining illnesses; they had noted decrease and/or elimination of various secondary diseases; they had lower illness severity and required significantly fewer doctor visits, fewer hospitalizations and fewer days in the hospital." Since opportunistic diseases are seen as "the real killers" of AIDS patients, due to the patient's lowered immune systems, these results are considered highly important. Our ancient legacy of energy healing is currently being expressed in a myriad of different styles, from Reiki, Mahi Kari, Muri El, Jo Ray, Therapeutic Touch, (TT) and others including my own method, A Healing Touch (AHT). My definition of healing is any activity that increases communication between one's body and spirit, allowing one to move towards greater levels of self-acceptance, integration, and wholeness. Spiritual healing is now being used by a wide variety of practitioners in private practice, as well as in many hospitals around the world. Even a number of eminent doctors—such as Dr. Mehmet Oz at New York's Columbia-Presbyterian Hospital—are using energy healing prior to, during, and after surgery, with remarkable results. Today, many more people are proactive about their health and want to learn tools for self-healing. Healer training courses and schools are developing nationwide. Students include medical professionals, wanting to learn more tools to deepen their existing practices, and people on the path of self-discovery, transformation, and self-healing. As we begin to understand that our health is in direct relationship with our mental, emotional, and physical energetic patterning, it becomes evident that we hold the power of health in our own hands. Spiritual hands-on healing is one of humankind's special legacies for achieving optimum health and is a valuable component of the medicine of the new millennium.